One of the biggest problems with CPAP masks is leaking. When leaking occurs, you might not get the prescribed amount of pressure you need for a good night’s sleep. A significant leak can also disturb you by making noises or blowing in your eyes. As a result, your sleep may be just as bad – if not – worse as it ever was. 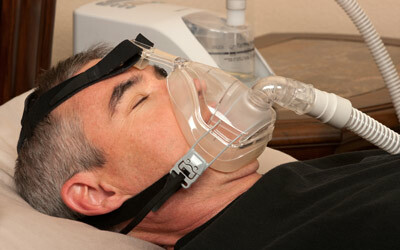 CPAP therapy isn’t helpful if you have a leaky mask. Your partner may also be disturbed by the noises. A mask that either doesn’t fit right, or isn’t secure on the face. Inadequate cleaning of the cushion. If facial oils build up on the cushion, the mask can actually be lifted off the face as the pressure rises. Frequent changes of sleeping position may cause the mask to shift. The age can affect the mask’s ability to seal well. The cushion and headgear may wear overtime. While you can’t change your sleeping positions, you can still reduce the chances of the mask shifting in your sleep by choosing a high-quality mask with a durable build that not only fits properly, but stays in place. When putting it on, make sure that the harness is not over-tightened. Not only is it uncomfortable, it also prevents proper airflow. Sometimes, a loose mask isn’t the problem. A mask that is on too tightly can cause problems as well. If you are unable to achieve a good seal and experience excessive mask leak, there’s a good chance that the cushion need replaced. Excessive mask leak and an inability to achieve a good seal is often the first clue that your cushion needs replacing. The cushion should remain in contact with your face during sleep in order to maintain an effective seal. If there is a problem with the cushion, the mask won’t fit properly. Even if you have the right size, the style of mask might not be ideal for you. There are a variety of masks available; some cover more of the face than others. If you are a side sleeper for instance, a full-face mask might not be the right choice, as it may push up into your cheek area and move off center. Keep in mind that the measurement of the outside is not as important as the inside opening of the cushion. You should consider the width distance both around the mouth area and the bridge of the nose when choosing a CPAP mask. Sometimes, if the leak is minor, all you have to do is twitch your nose or wag your jaw back and forth. Facial movements can sometimes affect the flow of air pressure with a mask. There are chin straps and similar devices available to help hold the jaw in place to prevent you from grinding your teeth or opening your mouth during sleep. Minor leaks are common with CPAP masks. Leaks don’t become a problem until they start affecting airflow significantly and making loud noises. If you can’t figure out the cause of the leak, you may want to get a different kind of mask.